People are not getting less ethical. Every generation regards later generations as less ethical than their own. But the evidence is to the contrary. The Council of Ethical Organizations has conducted a highly tested survey in hundreds of organization since 1986. While particular organizations or industry segments get more or less ethical, overall scores on the survey have been stable for almost 20 years. There is no central tendency of decline. 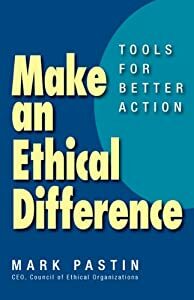 What sometimes makes us think ethics is on the way out is the fact that we learn more about ethical misdeeds than earlier generations did partly due to power of social media and the growth of news outlets.